At Boyles General Dentistry & Implant Center, our goal is to help every patient maintain a smile that is wholly natural and healthy – however, we also know that dental injuries and decay can’t always be avoided. That’s why Dr. Boyles and Dr. Etheredge offer a full variety of restorative services that are designed to rebuild strong dental structure and help your teeth get back on the right track. Don’t wait if you’re struggling – contact us today here in Midland, TX! When teeth have been left damaged, incomplete, structurally unsound, or even lost altogether, a custom-made restoration from our practice can work wonders in replenishing your smile’s durable and attractive structure. We offer several materials for our dental crowns and bridges, including metal-free ceramic for a seamlessly natural-looking result. Dental crowns are designed to rebuild individual teeth, both preserving what remains of the original structure and recreating the full shape. If you have a single tooth that is overly sensitive, cracked, badly decayed, or cosmetically imperfect, fitting it for a new crown may be the right decision. On the other side, dental bridges are designed for full tooth replacement. When a single tooth or multiple teeth that appear consecutively along the same row are lost. 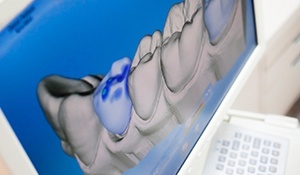 Traditional bridges are held in place within the mouth by fitting crowns over adjacent teeth as anchors, while implant-retained bridges are attached to placed implants. Traditionally, amalgam fillings have been the treatment of choice for correcting the damage done by cavities – you or someone you know probably has one right now. At Boyles General Dentistry & Implant Center, we’re proud to now offer a much more modern alternative that will help patients smile brighter: tooth-colored fillings. Tooth-colored fillings are made of composite resin, which is a biocompatible material that comes in several lifelike shades. Our dentists can sculpt smaller, more conservative fillings with composite resin, and the metal-free nature of the addition won’t be as sensitive to shifts in temperature. Traditionally, the creation of new restorations requires at least two appointments of a patient’s time – one for the initial impressions, and one for the final placement after the finished product has been delivered from the dental lab. Here in Midland, our dentists understand that you have a busy schedule, which is why we’re happy to offer restorative options that will only require a single appointment to complete. Your improvements will be speedier than ever without sacrificing the quality you deserve! Substantial tooth loss can rob of person of so much more than their smile – they may struggle to enjoy favorite foods or even speak clearly as a result. 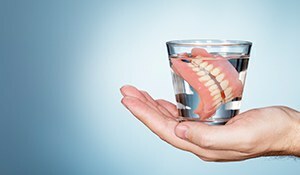 Thankfully, our dentists have decades of experience in crafting customized, high-quality dental prosthetics that patients can rely on well into the future. 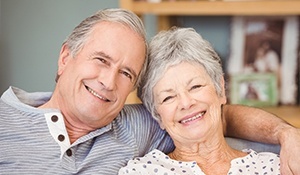 Full dentures are designed to rebuild an entire arch of missing teeth, while partials recreate certain teeth while leaving natural ones safely in place. Our practice is happy to offer both traditional, removable models and implant-retained alternatives for better security and aesthetics. Better yet, we create them right here in-office! Root canals tend to have a very scary reputation, but the truth is much more comforting – this procedure can often rescue heavily infected teeth from the threat of infection, helping them stay a sturdy part of your smile. 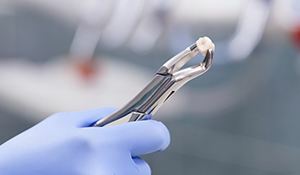 Our dentists will carefully access the tooth’s inner chamber and eliminate diseased pulp and bacteria before thoroughly sealing the structure to prevent further damage. As a final touch, we’ll cover the treated tooth with a new dental restoration (usually a crown) to rebuild its shape and function. 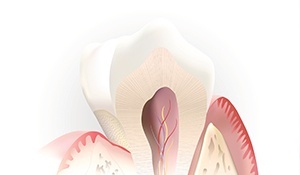 Advanced decay and/or periodontal disease has rendered the tooth unsalvageable. 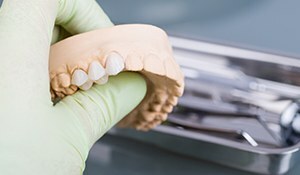 The patient is undergoing orthodontic treatment and one or more teeth must be removed to make way for proper alignment. The patient has suffered a serious oral injury and normal restorative means cannot save the tooth. The patient’s third molars (“wisdom teeth”) are threatening their health and need to be removed for safety reasons. Patients can trust in our dentists to handle their extraction procedure safely and smoothly. 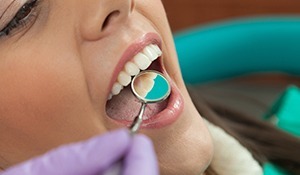 Sedation dentistry is available as a calming aid upon request. If the extracted tooth or teeth need to be replaced, we will start planning the ideal restorative solution right away as well so that you don’t have to be without a complete set of teeth for long.